Straight-legged shorts or pants in various lengths has elastic waistband casing and stitched hems. 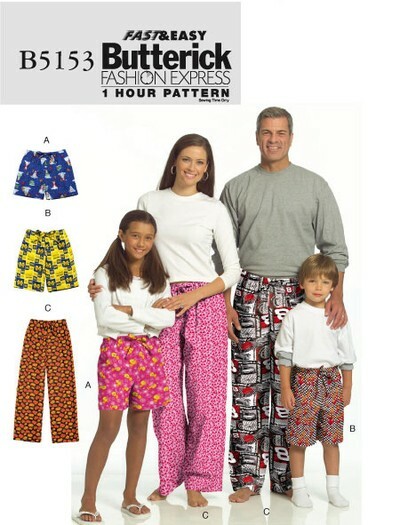 Notions description...NOTIONS: Shorts A, B, Pants C: 1" Elastic: 7/8 yd. for Kids’ and 11/2 yds. for Adults’. Lightweight Flannel, Lightweight Broadcloth and Cotton Knits.